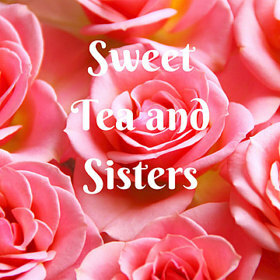 Sweet Tea and Sisters: He Is Risen!!!!! As everyone is enjoying Easter with family and friends, we celebrate the resurrection of Jesus. We have our own traditions as we acknowledge the historical facts of the resurrection. As we have our Easter lunch or dinner let our napkins remind us of something very important. The ettiquette of the time would be if you were finished with a meal you would have wadded up your napkin, but if you were not finished and returning, you would have folded it. The cloth covering Jesus's face was not wadded, but left folded. The message to us, He will return.